After having had several hours of sunshine providing plenty of energy (and temperatures of up to 33°C), convective clouds will start forming in the afternoon, which will quickly grow into rain showers and thunderstorms. These are expected to stay isolated (i.e. individual clouds) and therefore it is impossible to say exactly when and where a thunderstorms will form and strike. Due to the high available potential energy, thunderstorms have the potential to become severe. The main risks to be expected from today’s thunderstorms are excessive precipitation of up to 60 liters per square meter within short time, as well as large hail of up to 4cm in diameter. Excessive precipitation can lead to significant delays in traffic and may lead to flash flooding. 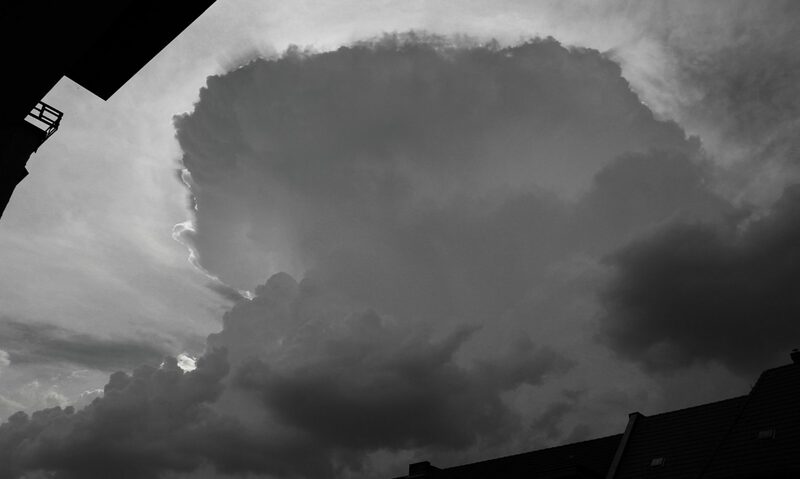 Large hail can result in property damage, especially to cars and roofs. Prepare accordingly. To a lesser extent, the potential for storm gusts of up to 100km/h is given as well.